sick solution bro — Turkois. 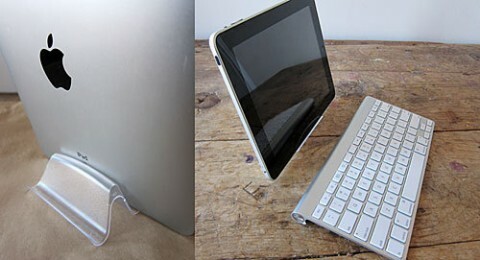 The multimedia editor at New York Times, Andrew Devigal, has found a cheap reuse iPad stand solution to turn your so called-useless over-sized iTouch into a desk-ish-top. I personally have been tempted on a daily basis by the allure of the iPad- having a desktop mac and having not yet taken the smartphone plunge- much to my own chagrin. Devigal suggests the Office Depot Business Card holder, which runs a whopping $0.69 a piece. iLike.